On Tuesday my Amazon Kindle 3G + Wi-Fi arrived. And there was much rejoicing. For a few years now I’ve wanted an eBook reader to make my growing collection of geeky books in PDF more portable. I have a laptop, but it’s not terribly practical with its brightly glowing screen and its fan-assisted knee warmer. And as any reader of Jakob Nielsen will be able to tell you: reading on computer screens is tiring and about 25% slower than reading from paper. My Psion Series 5mx has a PDF reader but it’s not being developed now and so doesn’t support the latest version of PDF files. My Windows Mobile phone does support the latest formats, but the screen is so small that it makes reading PDFs cumbersome with all the scrolling that’s required. So I wanted something in between a laptop and a PDA, that would support PDFs and wouldn’t put too big a dent in my wallet. The new Amazon Kindle 3G + Wi-Fi seemed to promise all of that, so I pre-ordered one. It arrived two days ago. When I unpacked the Kindle I tried to peel away the cellophane instruction that was telling me what I should do next (plug it in! ), until I discovered that it wasn’t a stick-on film it was the screen itself. Of course! The Kindle doesn’t need power to maintain an image on the screen, it just needs power to change the image. Genius! and a perfect introduction to the quality of the E Ink technology. The first thing I did was fix it into the chocolate brown Kindle leather cover that I also bought. I decided not to pay £20 extra for the one with the built-in light as I rarely have to read in the dark, what with us having electric lighting in the house and everything. The Kindle feels great in your hands; the slightly rubberised feel to its casing makes you feel confident that you’re not going to drop it easily. Once the Kindle is secured into the case it just feels great, like you’re reading a classic, leather-bound book. It’s a very tactile experience. I plugged it in, switched it on and very quickly got to grips with the basic functionality: selecting a book and navigating through the pages. It feels quite intuitive and I love the feel of the qwerty keyboard: the keys are quite rough like very fine sandpaper which I guess makes them easier to use than similar-sized smooth keys on which your fingers might more easily slide off. I can’t compare the Kindle 3 with earlier models to judge whether it does offer “50% better contrast than any other e-reader” or “crisper, darker fonts”. But what I can say is that it just looks great. And everyone I’ve shown it to today has commented on both the clarity of the text and how easy it is to read, even when held at strange angles and from a distance. Of course, what I really wanted to do was check out how my PDFs would render on the Kindle. The power cable comprises a USB cable (it looks like USB A to Micro-B) that plugs into a … well, a plug. Unhook the plug and you have yourself a USB cable. It took seconds for Windows 7 to recognise the Kindle as an external drive. I dragged and dropped about 300 MB of PDF files into the \documents directory, ejected the Kindle from Windows and lo-and-behold! there they were. eBooks can be organised into what the Kindle calls collections, which is like organising your files into folders or directories on your PC; books can be assigned to more than one collection. This makes it easier to find your books, and cuts down the clutter on the home screen. Once organised into collections you can still view a list of all your books by title, author or most recent. While most of my books are in PDF, I have a few eBooks in either .Mobipocket or Amazon’s proprietary .AZW format (which is based on the Mobipocket standard) which allows the text to be resized. There are eight possible sizes ranging from tiny (30 lines per page) to enormous (5 lines per page). 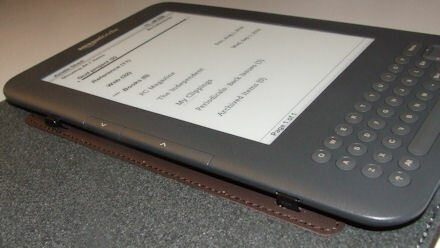 With eBooks the typeface (regular serif, condensed serif or sans-serif), line spacing (small, medium large) and words per line (fewest, fewer, default) can be adjusted, and text-to-speech can be turned on enabling the Kindle to read out loud the text on the page, either through the built-in speakers or via the headphone socket. I spent about 30-45 minutes sitting reading an eBook the other day and it felt really natural. It really is the quality of the screen that makes all the difference: it really does look like ink printed on light grey paper. Navigation through the pages is via the forward and back arrows on both the left- and right-hand side of the Kindle; although once secured into the leather cover left-handed users I imagine would have to bend the cover back on itself (the kind of action that is drilled into you from an early age that you should never do with a paperback), or remove it from the cover altogether … or, I guess, use the buttons on the right-hand side of the Kindle. Thankfully reading PDFs was just as easy as reading standard eBooks. Of course, the whole point of PDFs is that the author can determine how they look and that they will retain their design regardless of the device they are being viewed on. This means that the viewing options are reduced to just zoom, screen contrast and screen rotation. Depending on the size of the text I’ve found that reading some books with the fit-to-screen option and a 90° rotation is best. Depending on the size of the original page, the navigation keys will then shift your view from the top to the bottom of the page before moving on to the next page. It really is very impressive. I just wish that there was a keyboard shortcut for rotating the screen. On the Kindle 1, I’ve read, it is Alt + R, but on the Kindle 3 this inserts a number ‘4’ into the search box. Here’s my biggest niggle with the Kindle, though, when using it to read PDF documents: it doesn’t appear to have support for PDF bookmarks. This seems to me to be a huge failing, as it is often the way that I navigate around large PDF documents when viewing them on my PC. I hope that Amazon address this in a future update. And speaking of failings: my Kindle has crashed about 5 or 6 times since I received it, and it has rebooted itself once. I’m hoping that the latter was a software update, I’m currently on version 3.0 (515460094). eBookvine wrote about the freezes and crashes yesterday. Mine have happened while browsing the Web and viewing long, complicated PDF documents. I do wish manufacturers would include instructions on how to soft- and hard-reset their devices. On the Kindle 3 you hold in the power switch for 7 seconds to reboot it, and for 15 seconds to reboot (soft reset) it. For a hard reset you need to hold the power switch for 20 seconds, release it and then hold the Home button while the Kindle is rebooting. A screen appears asking you to type “RESET” into an input box which starts the factory reset. It’s inconvenient, but it’s not enough to put me off using it. Alt + Q, Alt + W, Alt + E, etc. Pressing Alt and the top row of keys will produce numbers 1-9 and then 0. Pressing Menu on the Home screen will show you both the time and available memory. 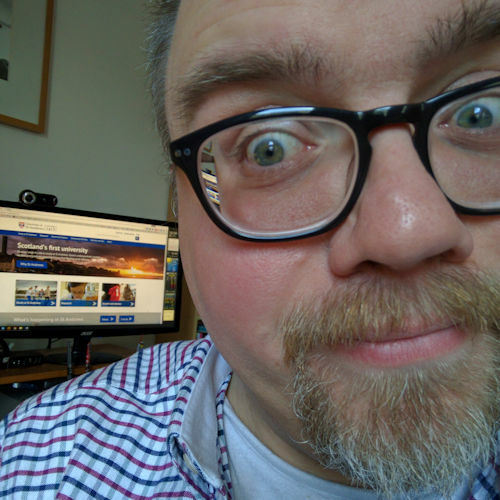 Thank you thank you thank you – for taking the Kindle step-by-step and answering all my questions that never seem to get answered in all the marketing hype! I am purchasing a used Kindle (previous owner wants to upgrade to the DX) and I was concerned that audio files, jpgs and pdfs would be compatible. The fact that you described the steps to connect and load files from a PC made this blog entry the best I’ve read about what happens and what to expect with a Kindle. Now I’m REALLY looking forward to getting one! i have been trying to find a short guide to the Kindle 3 in plain english for a while. I stumbled on your guide while searching google. I just wanted to say thank you for such a useful guide. The connecting to PC part you wrote is absolutely great, I have been looking for some information on it and found it only here. And it’s great to have a list of the most useful shortcut put together, thank you for that. I would love to take some information from your post and put in on my kindle 3g review site, I would leave you a reference backlink fo course. Dear Revd Saunders, Like everybody else I want to thank you for such a comprehensive account of the Kindle 3G. I download academic articles from My Athens, which come in PDF format. But I then have to read them on my computer, which is not portable. I wondered if it would be possible to download them onto a Kindle and read them anywhere, especially outdoors where it’s not possible to see laptop screens clearly. 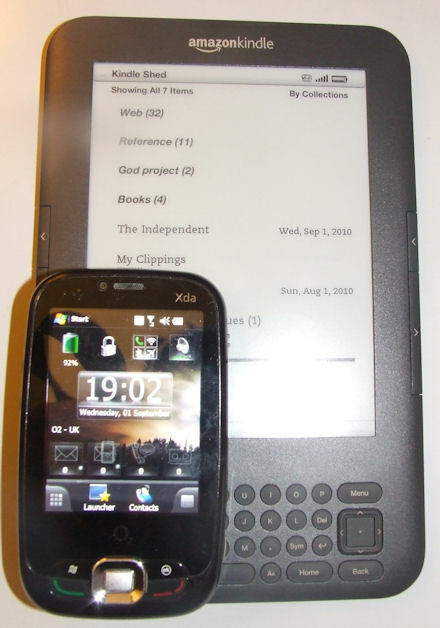 From your comments I see that I can use a Kindle 3G as a readable (PDF) data storage device. Wonderful. I will get one! I just started using a Kindle again. The Kindle Voyage has made significant advances. The Paperwhite 300 dpi and backlighting is a huge improvement. OS still can use some enhancements though.